BULGARIA / SOFIA / NADEZHDA 1 DIST. 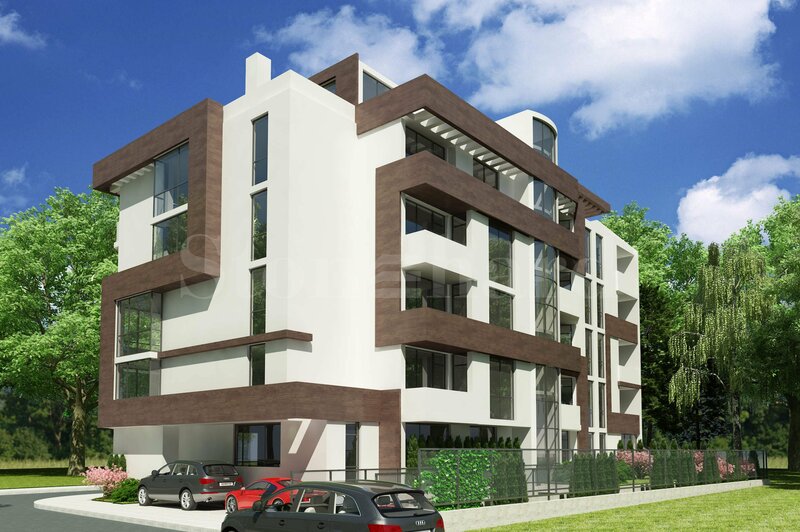 A nice new residential building with modern architecture, located in the peaceful district of Nadezhda. The building is near a metro station and enjoys quick access to the city center and the ring road. The area has excellent infrastructure and numerous shops, restaurants and cafes nearby. The building is located 5 km from the heart of the capital and 14 km from Sofia Airport. The building is built on six floors, and features 30 apartments and garages of different size. By September 2017 there were three available 2-bedroom apartments, 6 garages and two parking lots. The apartments in the building are sold plastered. There is an outer insulation of 10 cm. The heating is central, with heating units included in the price. The window joinery is Salamander, 5 chamber with triple glazing. There are installations for telephone, cable, internet, security service. 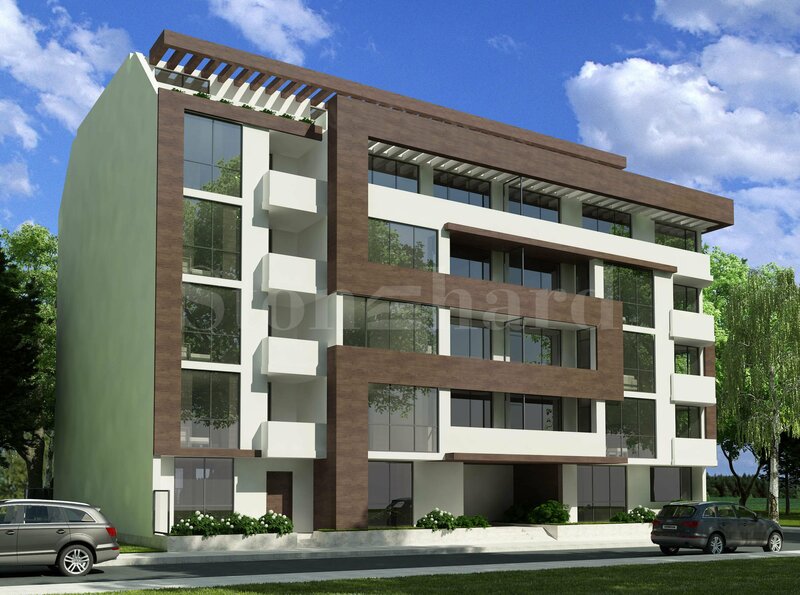 The building is near a metro station and enjoys quick access to the city center and the ring road. The area has excellent infrastructure and numerous shops, restaurants and cafes nearby. The building is located 5 km from the heart of the capital and 14 km from Sofia Airport. The construction works have started in September 2016 and in July 2017 the building has reached shell stage and Act 14 has been issued. Act 15 was issued in October 2017. The construction works are expected to be completed in December 2017 and the building is to be issued permission for usage (Act 16). On an individual payment scheme agreed with the investor.